Here you can submit your project for a FREE no Obligation Quote for Laser Cutting and Engraving. We will respond to you within 24-48 hours during working days. We use CO2 lasers with up to 150 Watt power and up to 4 feet wide open end tables on the lengths. All this is allowing us to work with materials of large formats and to cut plastic up to ¼” thickens in a single pass with maximum accuracy. 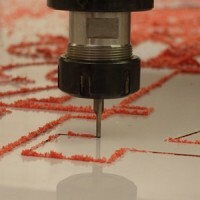 The laser cut on acrylic produces crystal-clear cutting edges and no additional polishing of the material is required. Along with Laser Cutting we offer Laser Engraving which offers a very unique look to custom plastic projects. One of the types of engraving with"frost" produces on clear acrylic a very unique white contrast against the clear material and enhances its appearance. 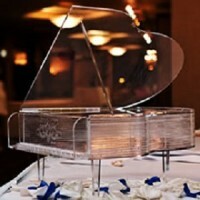 We provide Laser Cutting and Engraving services not only on plastics, but on a wide variety of materials. 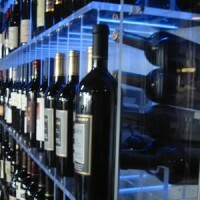 Our Laser systems can cut acrylic, plywood, melamine, veneer, cork, Styrofoam, rubber, leather, fabric, paper, etc; also we can engrave glass, stone, ceramic, marble, corian, anodized aluminum, coated metal and other types of materials. We work with a variety of image and CAD files. For different projects we can send files directly to the laser from a variety of programs, including CorelDRAW, Adobe software, and AutoCAD. Also we can open and read many types of files, however, some files can be corrupted during digital transition. To prevent misreadings and make sure we are working with the accurate dimensions we require to send us a "Proof Copy" in PDF format. If it is not possible, another image file could be submitted as "Proof Copy". Please take time to fill in all required fields marked with an asterisk. We will respond to you in 24-48 hours during working days. We work with plastic, plywood, cork, Styrofoam, cardboard, paper, fabric, leather, glass, stone, metal, ceramic and other types of material.